PC gamers that use a controller (present!) instead of a keyboard and mouse will soon have a new option that isn’t yet another Xbox controller. Valve announced during its Steam Dev Days conference on Tuesday that Steam would soon offer native support for Sony’s DualShock 4 controller, a.k.a. the controller that comes with the PlayStation 4, as first reported by Gamasutra. Steam will add native support for other controllers soon, but Valve decided to start with the DualShock 4 because Sony's gamepad shares some similarities with Valve's own. 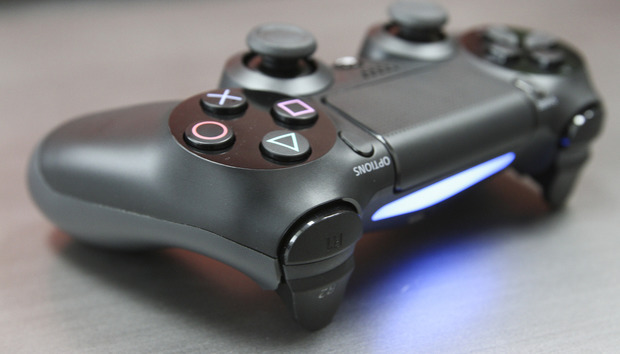 Features like the touchpad and gyroscope on the DualShock 4 overlap with features on the Steam Controller. "Existing native support for the PS4 controller on the PC is a bit weak," developer Lars Doucet told the crowd at Steam Dev Days. "In this case Steam itself is communicating directly with the device so everything that’s nice and reliable." Why this matters: Sony’s DualShock 4 is a fantastic device, but its support for PCs is indeed pretty bad. For years, users who wanted to use a DualShock controller had to resort to third-party software. That changed recently, however, when Sony turned a half-hearted eye towards the PC in August. To mitigate the abominable PC support it announced a $25 Bluetooth adapter dongle that lets a DualShock 4 work with PCs and Macs. Native drivers would’ve been a preferable option instead of a dongle, but perhaps that would’ve interfered somehow with Sony’s plans to bring PlayStation Now game streaming to PCs. Whatever the reason, there’s clearly a lot of room for Valve to offer a better solution for PC gamers. The key to all this DualShock goodness on Steam, of course, is that the games must support it, and from the sounds of it that’s going to be pretty simple. All game developers have to do is support the Stream Controller API and the software takes care of the rest. Valve didn’t specify a date for when DualShock 4 support would roll out, but we’ll be keeping an eye out for the announcement.